The Canton of Northpass would like to announce that they will be holding the annual John Barleycorn Memorial Brewing Competition at their “Barleycorn” event this September 5-7. 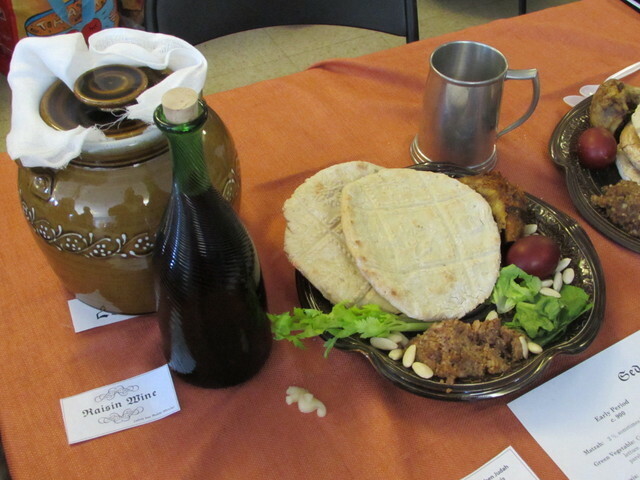 The competition, which will be run with the assistance of the East Kingdom Brewers Guild, will have five categories: Beer, Wine, Mead, “Other” (any Period-style beverage – cordials, kumiss, etc. – that doesn’t fit into the first three categories), and an “Open” category. For the first four categories, recipes will be required. The judges will need to know what it was you were trying to make. Documentation will be strongly recommended. For the “Open” category, recipes will not be required, nor will documentation be necessary. That bottle of mead that’s been sitting so long in your basement that the label fell off? The grapefruit melomel you tried just to see if you could do it? Enter them in the “Open” category! Other details, such as scoring and prizes, are not available at the time of this writing. The event, “The Funeral Games for John Barleycorn”, will be held at Mountain Lakes Camp in North Salem, NY, on the weekend of Sept. 5 – 7. The event will be based on Book V of The Aeneid, “The Funeral Games for Anchises”. For further information, contact the autocrat, Richard the Poor of Ely (richardthepoor@hotmail.com).